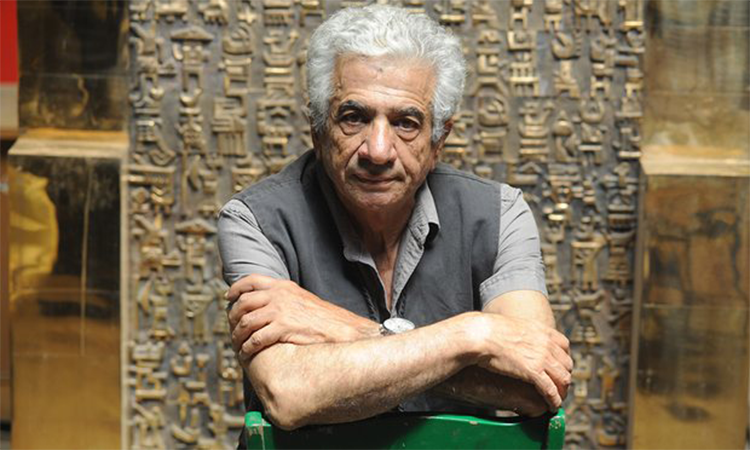 Iranian artist Parviz Tanavoli on 3rd July, was prevented from attending a talk at the British Museum after having his passport confiscated by the Iranian authorities. Tanavoli was due to attend the talk on his book European Women in Persian Houses. The book explores the wealthy living in Iran at the turn of the 20th century. The artist is celebrated for his pioneering contributions as a found-assemblage artist to Iran's Pop art movement of the 1960's. On 2nd July, Tanavoli was prohibited from leaving Tehran’s Imam Khomeini International Airport for London. Tanavoli holds a dual Iranian-Canadian nationality, spending half a year in Iran and the other in Canada. In the past, Tanavoli has had some of his works confiscated following a dispute over his property in Tehran. Tanavoli is the Middle East's most expensive artist at auction. His sculpture The Wall (Oh Persepolis), sold for £2.1m at Christie’s New York in 2008. See more realised prices for Tanavoli here. In 2015, both Tanavoli's first solo exhibition in America was held and his works were included in the Tate Modern's The World Goes Pop exhibition. Not only is he an important Middle Eastern artist, Tanavoli has the largest collection of tribal artefacts in Iran.